There was a great gaon, Rebbe Pinchas Horovitz, a world sized giant, Rebbe Pinchus Leibush Horovitz, he took his beit din with him and they took a Sefer Torah with them and they pronounced a cherem (a decree of excommunication) on any woman who would wear a peah nochrit (wig). Who can violate a cherem of a man as great as this?! He was a giant, a giant in Torah… To violate his cherem… Who would violate such a persons' cherem? This is in addition to the fact that there were many Gaonim who have written explicitly that wigs are forbidden. The Gaon Yaabetz writes extensively in his sefer 'Mor Uktziah' and in his sefer 'Tshuvot Yaabetz' very explicitly that wigs are absolutely forbidden! The Chatam Sofer writes, "After the Gaon Yaabetz has thusly said, it is certainly necessary to forbid wigs." 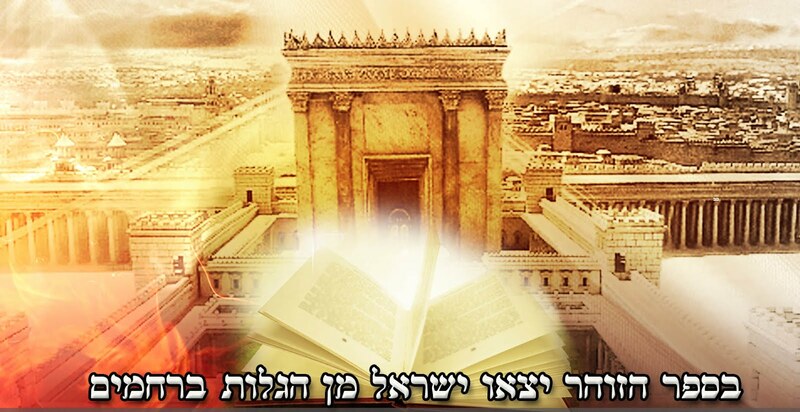 The Maharif Chiyut in his sefer 'Ish Chiyut' writes in one of his teshuvot (halachic responsas), "It has already been forbidden by the greatest of the world and there is no room for leniency in this matter. Only the apikorsim (heretics), the minim and apikorsim are the ones who are lenient in this matter. Everyone else is very cautious in this matter." Rav Chaim MiSanz writes in his sefer 'Shu"t Divrei Chaim' as follows, "It is the actresses, wild and immodest women, they began with this practice. Many have learned from them, we have mixed with the goyim and learned from their ways." The author of the sefer 'Atzei Arazim' in Even Haezer writes, "I am certain that any Rav who is lenient in the matter of wigs will have to face judgement in the future!" If all this is true, why is it that wigs from sheitel machers are very common in the Ashkenazic world? I realize that women in India donate their hair in front of their avodah zarot. Yet, the sheitel macher is a respected profession amongst Ashkenazim. And believe me, I know how expensive real hair can be. We are talking around $1000. I understand that Sephardim have never accepted sheitels as a proper head covering. So I would expect this ruling from Rav Ovadia. But in the Ashkenazic world?? I am amazed that this was a problem. In the US, observant women regularly wear them. sorry for my confusion on this issue. Here in Israel we have given up on the sheitel for the snood instead. My wife always hated them anyway. I've got flyers with probably 15 or more Ashkenazi Rabbis forbidding them as well. Rav Elyashiv, Rav Vosner, Rav Shlomo Zalman Auerbach, Chatam Sofer, Rav Yonatan Eibshitz, and many more. Wigs, clothing made from spandex and high heels all seem like a problem and immodest but many, many women who considering themselves "frum" wear these. I love them but they are calling attention to their bodies when they wear tight-fitting clothing with costly high fashion wigs and dripping with jewelry. Their husbands don't seem to be bothered by this as their daughters emulate the mothers. Wow. You mean there are ... rabbis who forbade wigs?! What a great revelation! "What Yeshiva students are these? These are ignoramuses, fools, wicked people!" Those yeshiva students are likely following their rabbeim and poskim. Which is just how halacha is *supposed* to operate. Beis Hillel did not condemn Beis Shammai as fools or sinners who would burn in heck. So I do have whom to hold by. I suggest you leave us sheitel-wearers alone and focus on real issues concerning breach of tznius such as women wearing tight-fitting outfits, skirts that are too short and have slits, and blouses that expose their elbows and their collarbone. Are you aware that many women go out to work, and in many places [outside of Israel] wearing a snood or tichel would not be acceptable in the workplace? also for many young girls, if they didn't have the option of wearing an attractive-looking wig they wouldn't cover their hair at all. Everyone has an opinion, but it's not fair to blanketly criticize without taking all facts into consideration. By the way, who's criticizing? i'm just translating the words of Rav Ovadia. Y. Goldstein....you're losing me...going ...going.....gone. I'm just translating the words of Rav Ovadia. And anyways, what's the big deal, is it so hard to stop wearing wigs and tight and stretchy clothing? Is it really necessary for everyone on the street to see the shape of your body? And if this is too much to handle, you might want to do some serious soul searching, because Am Yisrael and the Geula is all about kedusha! I wear a sheitel and no, my clothes are not clingy or tight. My sheitel is not long and it is not teased and bleached and colored brightly etc....My skirts are below the knee and I cover up the neck line and my arms are coverd weel below the elbow and oh, and minhag hamakom is no pantyhose, yet I wear them and people want to know why.....so, your next judgement on my soul is????????? uh.......nu? I am a sheitel-wearing woman. I choose to wear one in public, because it ensures all my hair is covered unlike snoods and tichels. If you choose to bash a whole segment of Jewish women then you are displaying mamesh sinas chinam. In brief: The Rebbe insisted on shaitels because you can not take it off at will as one can do with a kerchief. The fact that they can be attractive has no effect on the Biblical notion (chok) that a women's hair is 'ervah' and must be covered. In the Gemora the head covering is referred to as 'mitpachat', which is translated as cloth. What kind is up to the wearer. A woman could be very creative with these type of coverings. In Israel there are many ways to cover the hair w/o looking frumpy. The type of sheitel some Rabbis permitted is synthetic, short, and not very attractive at all. And yes, some groups like their wives to be non-descript. As in many other areas, proper personal boundaries have been loosened inordinately. It may actually be (in pure halacha and with das yehudis also) that 100% covered is not the ikkar, purpose of the cover is to denote she is married and not single. Thank you, I agree. Very well explained. Even synthetic wigs, all of them have around 3% real hair. And guess where that comes from? India.. so really no wigs are allowed . 1)Ladies, I hear you load and clear! 2)Ladies and Gentlemen, who of you agrees that ones hould ask a "sheilas chochom"/inquire from their local learned Rav, and follow his rulings? I tremble when I read his rulings above. "One does not impose a thing on the Tzibbur/Community where the majority are unable to abide by it".